"I got the feeling that the people at Oak Tree Mobility really did want to help me. Friendly, efficient, no pressure." Transform your life – and your living room – with a stylish and comfortable rise and recline chair and settee from our Oak Collection, which represents the very best of classic British design and manufacturing. 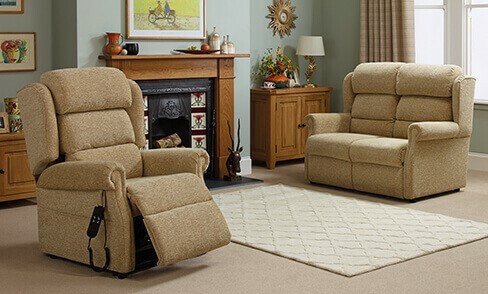 We have a range of stylish and comfortable reclining armchairs and settees designed for the elderly, disabled, and those with limited mobility. 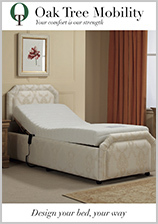 Whether your tastes are traditional or modern, we are sure to have a collection that is perfect for you and your home. 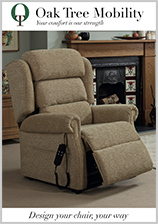 All Oak Tree Mobility rise and recline chairs are custom built and made to fit you. 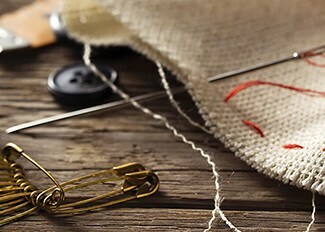 That means we'll take your measurements to ensure comfort like you've never felt before. And with our range of luxurious materials and incredible accessories, the chair you choose will be something completely personal that you can enjoy for many years to come. 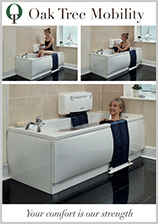 At Oak Tree Mobility, we celebrate British manufacturing. 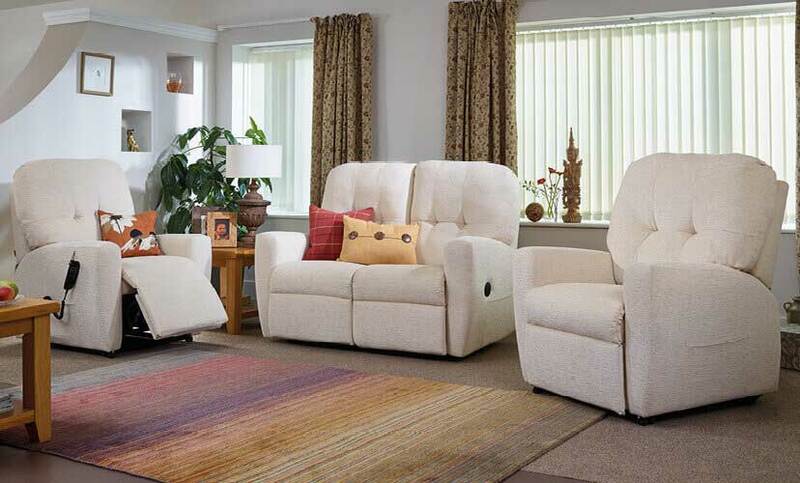 All our electric rise and recline armchairs and settees are made in Britain and we are immensely proud of that fact. Our skilled craftsmen draw on years of experience to create market-leading products. Are you worried about what to do with your old chair? We will collect any old furniture and give you £250 off with our unique trade-in offer. We donate all the furniture that we collect to the British Heart Foundation and have so far helped raise over £30,000. All our recliner chairs are available with a lifetime warranty and come with a 14 day satisfaction guarantee. 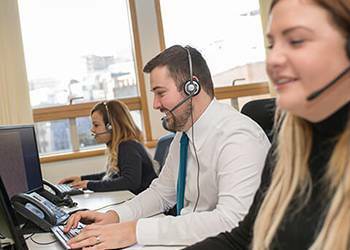 Our UK-based call centre is always on hand to help, and in the rare instance that you need a technician to visit your home, we offer a 24/7 local call out, 365 days a year. 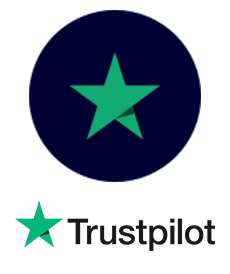 Read through our brochure and arrange a free no-obligation consultation. Meet one of our friendly advisors and try a chair in the comfort of your own home. Our designers and engineers create a chair that matches you and your specifications. We will deliver your new chair and set it up before taking away your old furniture. All of our chairs are assessed by occupational therapists at UK Therapy Services. In the video, Samantha Shann from UK Therapy Services talks to us about the benefits of using a rise and recline chair. From start to finish, we apply the same care and attention to all the chairs that we make. Every chair is made in Britain by hand, ensuring all our customers enjoy only the very highest quality. If you suffer from pain and swelling in your legs and ankles, your doctor may have recommended you raise your feet. Our unique high leg lift offers a simple and easy way to raise your legs in comfort.